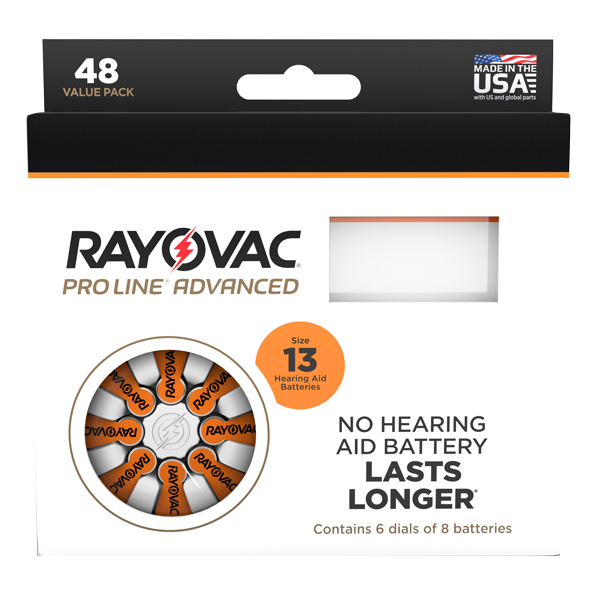 Rayovac Size 13 Hearing Aid Batteries 48 Count. Free Shipping on All Orders over $30! Rayovac Size 13 Hearing Aid Batteries 48 count are 1.45 Volts and and Mercury Free. These are Rayovac's longest lasting, most dependable batteries.